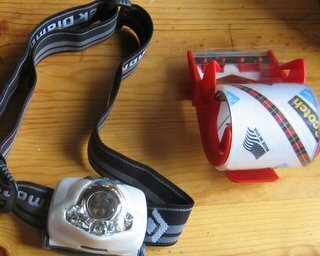 I put a piece of clear packaging tape over my headlamp lens to protect it from getting scratched. I also do the same for my GPS screen and the screen on my phone. Eventually the tape gets scratched up, then I replace it with a new piece of tape.